The Welch DryFast® Diaphragm Pump 2034 is a diaphragm pump with a two-head diaphragm design and advance vapor management (AVM). Efficient 2-head diaphragm design reduces maintenance. Advanced Vapor Management knob for easy vacuum adjustment. Pros: Chemical resistant, oil-free, tuneable vacuum, multiple applications, one-year warranty. Cons: Maximum flow of 25 L per minute. Bottomline: Reliable diaphragm pump that enables precise vacuum control for organic evaporations. 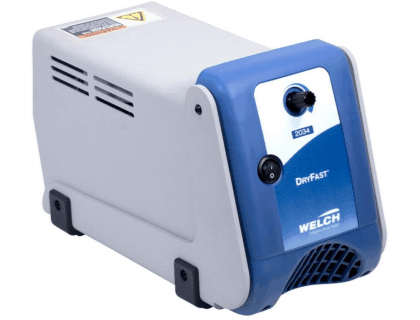 The Welch DryFast® Diaphragm Pump 2034 retails for $2,166.77. Does the Welch DryFast® Diaphragm Pump 2034 have a warranty? Yes, the Welch DryFast® Diaphragm Pump 2034 comes with a one-year manufacturer's warranty. Where can I buy the Welch DryFast® Diaphragm Pump 2034? 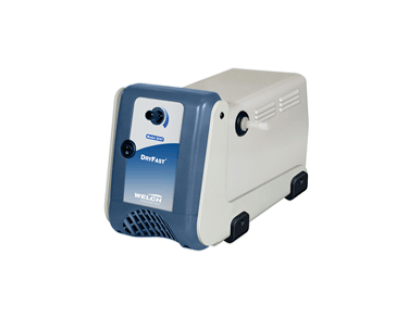 You can buy the Welch DryFast® Diaphragm Pump 2034 by clicking on the link above, or directly from Welchvacuum.com. What are some Welch DryFast® Diaphragm Pump 2034 alternatives?